R.S. 's analysis does not take into account either initial or induced (directional) anisotropy, it does not take into account nonlinear anisotropic effects, or higher order effects. It does not take into account coupling. It needs to take something "extra and relevant" into account beyond Maxwell's equations and special relativity to explain acceleration of closed microwave cavities. Rather than debate theory, here is a suggestion: why don't we discuss with Roger Shawyer solely the experiments? The experiments are extremely interesting. He states that NASA Eagleworks is behind his state of the art. I would find it fascinating if Shawyer could inform to us the progress of the superconducting EM Drive with curved bases. Anything he can provide on the experiments (including the Demonstrator Engine, the only EM Drive for which there is YouTube video showing its movement for anybody to see) would be very valuable. He doesn't need to give any confidential information. We just need more description of what he already publicized. For example, when he wrote that he measured thrust for the Demonstrator Engine in opposite directions: force direction in both the "thrust" and the "reaction" directions. Could he please explain this? What are you talking about? Maxwell's equations apply to EM radiation unequivocally. Especially in these low power regimes there is no chance of observing any perturbations due to higher order effects from field theory. 0. The proposed explanations violate: conservation of energy, conservation of momentum, and the Lorentz transformations. These are some of the best-tested physical arguments we have today, and yet this "drive" violates them by huge orders of magnitude. Is it really plausible that 100+ years of experiments have failed to notice a comparatively huge effect? RF cavities are not a poorly understood system. I used to work with superconducting RF cavities for particle accelerators with Q > 1 million supporting fields of > 10 MV/m. I can guarantee you we would have noticed if power was disappearing into "thrust", or if the damn things were starting to levitate. 1. Even if we are pushing against the "quantum vacuum" this does not make sense, as any such vacuumo must be charge neutral and so we would be pushing in opposite directions on electrons and positrons. Not to mention the accelerated positrons would smash into the surrounding cavity, producing copious, easily-observable gamma rays. 1a. Even ignoring this objection, to promote particles from "virtual" to real (as in Hawking radiation...) you have to provide the particles with their mass-energy. 511 keV per electron/positron. Does this make sense? Assume 100% of the energy delivered to the cavity goes into making virtual particles real: 100 W / (mass of electron * c^2) = 1e15 electrons / s. Assume the particles are instantaneously acclerated to the speed of light (a pretty generous assumption). Then F = (1e15 electron/s)*(mass of electron)*(speed of light) = 2e-7 newtons. Much smaller than what we observe. The explanation does not hold up to scrutiny. This papers seems explicitly designed to use lots of fancy terminology and equations to look impressive to anyone with no background in physics, while saying nothing at all of substance. It does not even rise to the level of coherence. In conclusion, this whole affair appears to be the work of someone who has convinced himself his theory is right and is on a fishing expedition for evidence that supports it. The experimental design is poor (camera pictures of LabView windows? unable to find an RF amplifier to deliver more than 100W of power? inability to measure forces that would be measurable in the 1800's? ), the past 100+ years of physical experiments contradict the experiments, and there is no coherent underlying theory. This is not science, it is cargo cult science. I'm going to wallop you in the morning. Hope you know what you're attacking me for (what I've been advocating which isn't QVPT BTW) You might want to make sure you have your facts straight. This is your head start. Plenty of dissent in this topic's history. Just stay polite and pertinent. So does this mean that all PC-overclocking dreamer-nerds everywhere could create their own EM-drive at home? Just like with Polywell or other small-scale attempts at fusion energy, perhaps a multitude of parallel efforts could yield more advances at a faster pace. I still don't understand why major laboratories can't be enlisted to verify or disprove the phenomenon. Please don't misconstrue my post as a personal attack. I was asking what you mean by "other than usual" symmetry conditions. Maxwell's equations operate regardless of the frame of reference we are in, so they are valid in all situations. I have been lurking on this thread for a few weeks, so I feel I am somewhat conversant with who has what explanation. The bulk of my comment was on Harold White's "explanation" of the EM drive. In any case, a copper cone moves a bit when we dump 100 W RF into it. This is not surprising. Claiming you have some totally unknown (macroscopic!!) force operating, when such forces have been searched for and ruled out to high precision (http://en.wikipedia.org/wiki/Fifth_force) is surprising. Claiming that this is proof of a reactionless drive, space-time warping, and quantum vacuum weirdness is just ridiculous. On the theory that the other thread was supposed to be the one that is kept pristine and this one is for (ahem) discussion I have decided to post this here in case it is pertinent to the discussion. My rationale is it has to do with the QV and particle weirdness therein. Over the last several years there have been at least a couple of articles on emergent monopoles in condensed matter/ solid state physics. And apparently I missed one earlier article on non solid state/condensed matter Quantum physics (referenced in this article.) But I saw the one published today and it does not appear to be a forced or emergent species of monopole but a quantum plasma variant of yet another "sort of" monopole. They do not say it is one of the fundamental monopole species from various theories but at the same time it is not a fake one made by pinning flux lines in solid state objects. some of the statements in the article seem to pertain to the level of existence Dr White and some others are postulating are behind the EM drive and the QVPT. If it can be replicated, it's not. Besides I don't see anyone here arguing for accepting NASA Eagle Works', NWPU's and Roger Shawyer's results on faith alone. We are well past the point of being able to dismiss this with a simple snarky remark and a good laugh. I want proof and data now, in order to believe any conclusive assertion about this. Because it is obvious pseudoscience and is treated as such (unlike e.g. early cold fusion, which didn't look anywhere near as silly and resulted in many replication attempts worldwide). So pseudo-science consists of careful experiments, peer review, critiques and replication attempts and redesigning test articles to get higher Sigma confidence? Who knew!? It may turn out that Dr White and others are mistaken. However that does not make it pseudo-science. Is it based on falsifiable assertions or not? As far as I know, yes. Either it provides thrust or it doesn't. "Eppur si muove" at its best. Can it be replicated? Sure, there's nothing magical with the setup. Any willing and able engineer could make one (and several around here are). Does it work? We don't know for certain yet. There are hints of the answer being yes, but more replications are in order. Should we ban and discourage any experiments on this obviously silly idea, only because it goes against our models and theories? Definitely not. Naked disdain on the grounds of established theory, without citation of related experiments or numerical analysis, is unhelpful and unproductive. Nobody is arguing for the ban or discouragement of these experiments. By all means, let's tinker. It's fun. BUT: It's cargo cult science (my preferred term) in the sense that it is a simple, crude experiment that contradicts decades of far more well executed experiments. We go from a small displacement of a metal body when subjected to an RF drive to wild claims about spacetime distortion. It looks scientific from the outside, but does not withstand detailed scrutiny. When they are running the RF cavities in the LHC at CERN (far larger, superconducting, far higher power), why don't they try to tear themselves off their mountings? Why do microwave electronics (radars, cell phones, etc...) not behave differently as the earth rotates around the sun and moves through some hypothetical background of quantum vacuum? 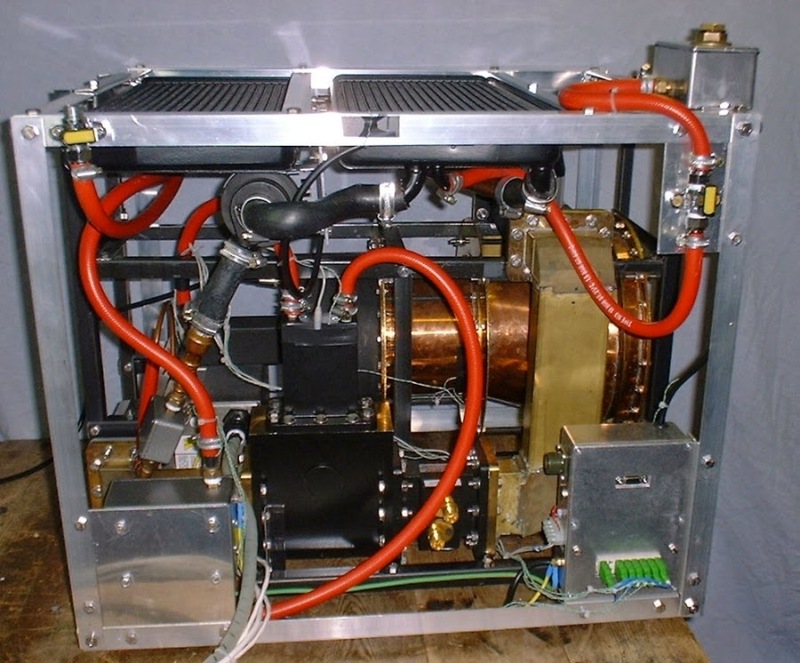 The EM drive theories rely on coupling of electromagnetic fields to something else. Why has this coupling never been observed before? Why can QED be accurate to 20+ decimal places if energy is disappearing into the quantum vacuum? Astrophysical processes create electromagnetic fields orders of magnitude larger than what could conceivably made in the laboratory. Why don't we see any interaction in these vastly larger fields, or any "spacetime bending"? If you have a new physical theory which predicts some phenomenon, it should reduce to previously known physical theories, and be able to explain existing experiments and observations. If I believe that the EM drive is actually providing some nonclassical, unexplained thrust, I must throw out 100+ years of physics experiment and theory. I choose not to do that, which is why I do not believe further experimentation is warranted. Others may choose differently, but then they should ask themselves why they are so eager to disregard such a large body of established science. So, an opinion here - I think this thread should be kept as the place where all the theorycrafting and experimental work is specifically discussed by (by and large) the people involved. The strong skepticism and debate over the practicality/realism of the technology and etc ought to be taken perhaps to the article thread, to keep this one cleaner and more usable/readable. It doesn't have anything to do with quantum mechanics, it has to do with relativity. So refutations based on quantum mechanics are irrelevant. Read the paper. The paper shows that there will be a force. Yes, the content of the paper is hard to keep in your head, but it's in there. As I understand it, the speed of light, being constant no matter what, essentially creates a separate reference frame from what is going on inside the cavity. The propulsive force is generated because of differences between the two reference frames. Going out on a metaphoric limb, it's like the EM waves in the cavity get squeezed against the speed of light, and it doesn't budge, so the cavity has to. But it doesn't matter how it is put into words. The reality is not in the narrative metaphors. The reality is in the physics equations, the math. The paper uses well-established equations from physics, and provides sources. Yes, it's mind boggling. However, it's not that complicated or mysterious in terms of the equations and their sources. It's undergrad physics. Read the paper, understand it, and try to refute what it says. If you can't understand the paper, which is not easy unless you DO happen to have undergrad physics (which I can't fully claim) well, that's a separate problem, which perhaps should have its own thread. I think there's a chance it could be chunked out into something intuitively graspable. It would be a very good idea for the moderators to set up some sort of rules like that. The plan was for people to put essay-like answers in here and then reference that particular post. Thus the information never need get lost even if the thread sprawls. Someone can always re-edit their original essay answer if discussion raises an issue. Forget all these new theories for the moment. Concentrate on the experiment. If all there is to these experiments is experimental error, then we can forget the whole thing. If there is anomalous thrust from these experiments, then theorists can try to figure out how it works. Some very intelligent and highly trained people here have been trying to show these results are experimental error. They are still talking about it because they can't explain away the results yet.